Created by Michelle Renee Hiatt pattern for Deb Tucker’s Rapid Fire Lemoyne Star Ruler and Technique Sheets. 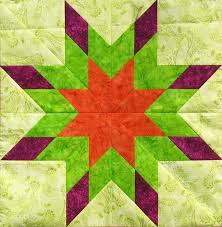 This pattern was inspired by my love of Lemoyne Stars and all the fun you can have with the Rapid Fire Lemoyne Star Ruler! 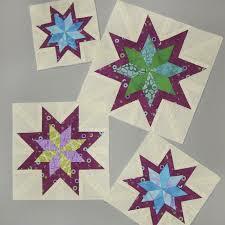 You will make 7 different types of Lemoyne Stars and using the Lemoynes as Triangles you can choose your setting. The final product is a treasure! Gail Heller, certified Instructor with Deb Tucker and Studio 180 Designs will guide us through a monthly journey to learn to create all the various Lemoyne Star Designs using the Rapid Fire Lemoyne Star Ruler. 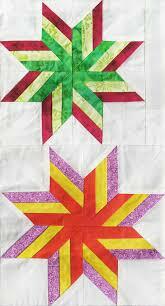 Each month we will create 2 different 12” blocks and the last class they will be put together to create the Loco for Lemoyne Stars Quilt, which finishes at 72” x 72”. 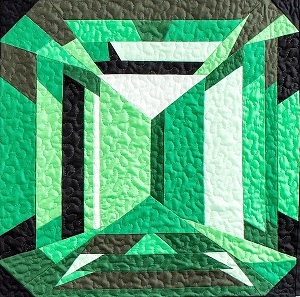 You aren’t required to make the quilt, you can create the blocks every month and make them into table runners, placemats, totes whatever your heart desires. If you are making the Loco for Lemoyne Sampler quilt you also need: (2) 3 1/4” x 20” strips 1 from Star A and 1 from Star B, set aside to be used in last class.